Is the name "Rizwan" or "Ridwan" mentioned in the Quran? Muslim Villa > Forum > Category 6 > VARIOUS ISLAMIC ISSUES > Religious - > Is the name "Rizwan" or "Ridwan" mentioned in the Quran? Is the name "Rizwan" (also spelled Ridwan) mentioned in the Quran for the welcoming 'angel of Paradise?' I don't recall but some brothers and sisters were saying angel of Jannat is "Ridwan" (or Rizwan). They couldn't quote any Quranic Verses to show this word .... and since they're Hadithers, so I can't trust them on such matters. Nope sister. This name is picked by traditionalists. Not in the Quran. Let us read Verses 13:23-24 of Surah Ar-Rad and Verse 39:73 of Surah Az-Zumar. "Gardens of Eden which they enter, along with all who do right of their fathers and their helpmeets and their seed. The angels enter unto them from every gate, (Saying): Peace be unto you because ye persevered. Ah, passing sweet will be the sequel of the (heavenly) Home." (13:23-24). The translated expression in Surah Ar-Rad, "The angels" (or, in some translations "and angels") stand for the original Arabic "wal-malāikatu" referring to the welcoming angels of Paradise. "And those who keep their duty to their Lord are driven unto the Garden in troops till, when they reach it, and the gates thereof are opened, and the warders thereof say unto them: Peace be unto you! Ye are good, so enter ye (the Garden of delight), to dwell therein;" (39:73). Then again in Surah Az-Zumar above, the translated word "warders" (or, "keepers in some translations) stand for the original Arabic expression "khazanatuhā" which means "its keepers," .. referring to the keepers of Paradise. The term "Ridwan" is not stated anywhere in the Noble Quran. It comes from Hadith stories which the Prophet (pbuh) never said. No mention of "Ridwan or Rizwan" in the Noble Quran. It's a copycat idea from Christianity. This notion, like many others, has crept into Muslim tradition from the altered and messed-up Christian tradition. As we know, the forged Hadith institution drifts along the same path as the myths of altered Christianity, their only commonality being they are both unauthentic and mere guessworks. The Noble Quran has simply confirmed that there are angels in Paradise or Jannat that will welcome the righteous. In Christian tradition the keeper of Heaven (which they informally refer to as "Pearly Gates") is presumed to be some person by the name "Simon Peter" who was supposedly a companion of Jesus (son of Virgin Maryam). According to Christian myths, this man was given the keys of the Heaven and he admits into Paradise only those whose names are mentioned in the "book of life" and denies entry to those whose names aren't mentioned in this book. In both altered Christianity and Judaism (including the master gossip Jewish hadith, Talmud) the "book of life" is said to be the book in which The Almighty records the names of every person who is destined for Paradise. It's from unwarranted stories like these that Muslim traditionalists (who aren't content with the Quran alone and don't consider the original & final Divine Message to be sufficient as The Sole Criterion) have chosen a name for the angel of Paradise as "Rizwan." The only difference between "simon peter" and "rizwan" is that the former is a human being while the latter is an angel. - Who are Harut and Marut? Exactly sister Zeynab, that's how the origin and concept of "Ridwan" came about. Very correctly traced. Well, I knew the name "Ridwan" is not contained in the Quran. But never knew hadith picked up the idea from this "simon peter" guy. Thanks for the information. O thanks sisters. I knew I smelled a rat when those hadithers were trying to assert this point. Br. TS "peter simon guy" ..... lol. - Jibreel or Gabriel also known as the Spirit, Holy Spirit, Ruhul Qudus, Ruhul Ameen (refer to our related post link). - Kiram al-Katibeen (refer to our related post link). - Harut and Marut (refer to our related post link). Other than that, the angel of death in the Noble Quran is referred Malak ul Maut (E.g. 32:11). Right? Any other names of angels we read or hear from our folks is from tradition, not the Noble Quran. Right ha? Also, please folks, gimme a list of names of angels commonly mentioned by hadithers but are not contained in the Noble Quran, so I'll know and won't get confused. Sure sister, that's a good idea so everyone will be aware. There's quite a lot to clarify concerning this aspect. Be careful, tradition also says Malak-al- Maut (angel of death) is named Azrael. I don't know where the name Azrael comes from, but Quran does not state this name. As you already said, Quran only states Malak-al-Maut. "And (remind them of) the Day when the Trumpet will be blown, and all who are in the heavens and the earth will start in fear, save him whom Allah wills. And all come unto Him, humbled." (27:87) An-Naml. "And the trumpet is blown and lo! from the graves they hie unto their Rab," (36:51) Ya Sin. "On that day they follow the summoner who deceives not, and voices are hushed for the Beneficent, and you hear but a faint murmur." (20:108) Ta Ha. "Hastening toward the summoner; the disbelievers say: This is a hard day." (54:8) Al-Qamar. Then again, another Christian concept that has popped into Muslim tradition is that of 'guardian angels.' The Muslim traditionalists have named this Hafaza angels (from hafazat or taking care). According to traditional information each person is assigned four Hafaza angels, two of which keep watch during the day and two during the night. They help the soul fight attacks from demons and evil jinn. This concept is not in the Quran. While Satan and his tribe do constantly tempt humans, we must make ourselves strong and sincere toward Allah alone to fend off such attacks. Also know, hafaza angels is not the same as Kiram al Katibeen. Those are recording angels mentioned in the Noble Quran. Refer to MV related post link as given by Sister Zeynab. The traditionalists generally view the term "witnesses" in Verse 69 of Surah Al-Zumar as reference to hafaza angels but with no convincing reasons. "And the earth shines with the light of its Rab, and the Book is set up, and the prophets and the witnesses are brought, and it is judged between them with truth, and they are not wronged." (39:69) Az-Zumar. Moreover, even if the word "witnesses" in the above Verse does refer to angels, the term hafaza or guardian is certainly not stated in this Verse or any other Verses of the Noble Quran. Another name given to a set of angels by traditionalists is Hamalat al-Arsh, referring to those angels who will carry the Throne of Allah as stated in Verses 69:17 and 40:7 (Surah Al-Haqqah and Surah Al-Ghafir, respectively). Following are the Verses. "And the angels will be on the sides thereof, and eight will uphold the Throne of your Rab that day, above them." (69:17) Al-Haqqah. "Those who bear the Throne, and all who are round about it, hymn the praises of their Lord and believe in Him and ask forgiveness for those who believe (saying): Our Rab! You comprehend all things in mercy and knowledge, therefor forgive those who repent and follow Your way. Ward off from them the punishment of hell." (40:7) Al-Ghafir. As we can see, Allah Almighty does not mention the name "hamalat al-arsh" for angels in these Verses. Two more traditionalist names for angels are Munker and Nakeer who are supposed question in the grave. This is a totally Hadithist notion as the concept of questioning in the grave does not exist in the Quran at all. Refer to our posts "Fitnah of the grave" - Beware! False Hadith concept" and "Hadith on punishments in the grave." Finally let me mention something really important. We would know this but many of our readers may not. Yet another traditional view claims the angel of Hellfire named as "Malik" similar to the name "Ridwan" supposedly the angel of Paradise. Angel of hell is not named "Malik" either. Let us check with direct references to the Noble Quran. The two Verses that are most often quoted by traditionalists on this topic are Verses 43:77 and 66:6.
" And they cry: O master! Let your Rab make an end of us. He says: Lo! here you must remain." (43:77) Al-Zukhruf. In this Verse the translation "O master" comes from the original Arabic "yāmāliku." The word in Arabic is مَالِكُ. As shown, this word in English is written as 'malik' similarly as مَلِك for there's no other English spelling for it. However, in Arabic مَالِك and مَلِك are two different words. مَالِك means owner. That can be the owner of a shop, owner of a house, owner of a school etc. while مَلِك also written in English as "Malik" means King referring to Allah Almighty only. In Verse 43:77 the reference is to the owner or master of hell, that is, the angel whom Allah Almighty has appointed in charge of hell or as the keeper of hell. Thus, as written in English, the word "malik" in Verse 43:77 (مَالِك in original Arabic) is a common noun, NOT a proper noun like the names of angels Mikaeel or Jibreel stated in the Quran. "O ye who believe! Ward off from yourselves and your families a Fire whereof the fuel is men and stones, over which are set angels strong, severe, who resist not Allah in that which He commands them, but do that which they are commanded." (66:6) At-Tahrim. In this Verse the word for angels contained in the original Arabic is "malaikatun." Malik is not mentioned. Moreover, Verse 74:30 again just for information. "Above it are nineteen." (74:30) Al-Mudassir referring to angels as guardians and keepers of Hell. The name "Malik" not stated. Also do not get mixed up between the words "Malik" and 'malak.' As already said, 'Malik' means 'King' that's referred to Allah Almighty only; malak (Arabic: ملاك‎) means angel. It's plural ملائكه or malaa`ikah meaning angels. One needs to be very careful. Always look for Quranic Verses to confirm the names of angels which our traditionalists mention. In their writings & lectures they mix up names of angels not contained in the Quran with those that are, and in many translations they put those extra-Quranic names in brackets that have originated from hadith & traditions. That's how many people get utterly confused and often wrongly claim non-Quranic names of angels as coming from the Quran. Our folks really should not do such things. O dear brother, so kind of you. This has been so helpful for me. I will save this and also make a note of it pointwise as to which angels are stated by name in the Quran and the ones made up by our traditionalists. Allah bless you brother. Plenty of thanks. Very thoughtfully explained brother TS. This was helpful for me too. Allah bless. Re: Is the name "Rizwan" or "Ridwan" mentioned in the Quran? Many thanks from me too for your well-read and detailed discourse brother TS. I especially appreciate the clarification of the word "Malik." You're right, in English there probably cannot be any variation of spellings. Or, probably, we may write "Malik" (مَلِك ) and "maalick" (مَالِك ). The latter word is in Surah Fatiha too "مَالِكِ يَوْمِ الدِّينِ " (Maalick-e-yawmi alDeen), translation "Owner of the Day of Judgement" .... some translators use the word "Master" but means the same. 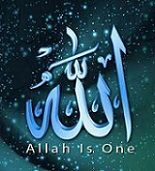 The word مَلِك or Malik which means King is one of the many titles of Allah Almighty. The prefix 'abd' before the name "Malik" is often taken as name of a person indicating their subservience to Allah. For example, the name Abd'el Malik refers to 'slave of the King' that is, slave of Allah. But many folks don't use this prefix and simply use the name 'Malik' which sounds very arrogant, denoting earthly kingship which they bestow upon themselves. Furthermore, the Arabic word رضى also written as رضا pronounced ' rda' (rza) means satisfaction, pleasure, contentment, acceptance and few other terms with similar definitions or connotations. I think our Muslim traditionalists introduced the idea of the root word "ridwan" as angel of Jannah (Paradise) by picking the word "wa-riḍwanun" and its derivations that occur in various Quranic Verses which mean contentment or approval, but has absolutely no allusion to the name of an angel nor anyone's name for that matter. The following are examples I'm quoting of three Quranic Verses.
" ...... wherein they abide eternally, and purified spouses and approval from Allah." (3:15) translated by sahih international. In this Verse, the translated word "approval" represents the Arabic original "wa-riḍwānun"
"Their Rab gives them good tidings of mercy from Him, and acceptance, and Gardens where enduring pleasure will be theirs;" 9:21. In this Verse the translated word "acceptance" represents the original Arabic "wa-riḍwānin" .... in word by word translation it's translated as "pleasure" which signifies the same meaning. Also let us see Verse 5:119. "For them are gardens (in Paradise) beneath which rivers flow, wherein they will abide forever, Allah being pleased with them, and they with Him." 5:119. In this Verse the translated word "pleased" represents the Arabic original " raḍiya" (رَضِيَ). Sahih International translates it as "Allah being pleased ....." and word by word Corpus Quran translation mentions "is pleased Allah with them" meaning 'Allah is pleased with them.' Both translations carry the same explanation. My point is, "ridwan" is the root word and several of its derivatives as synonyms are found in various Quranic Verses signifying Allah's approval and the bliss of believers entering Paradise by His permissiion. So the traditionalists have simply picked the root word "ridwan" as the angel of Paradise. But this specific notion is simply their idea which is not confirmed in the Quran. Both points in your two above posts are thoroughly informative Sister Heba. This additional input makes the study more comprehensive. Alhumdulilah. A very illuminating thread with lots of aspects to remember.